You need to know what your audience is interested in reading if you want them to even consider opening your emails. You need to ensure that your content as well as your title is relevant, otherwise they will ignore the email and your time will be wasted. 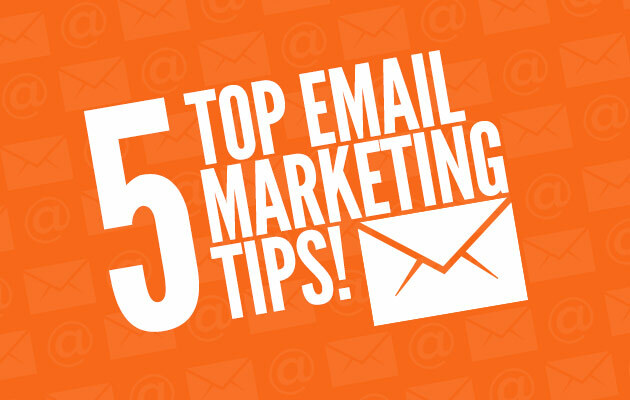 Don’t send emails for the sake of it, only send content that your readers may be genuinely interested in. Choosing the layout for your email marketing campaign is a huge decision. A poorly designed layout will put readers off and prevent them from reading the actual content. Don’t overload the email with text – your readers are busy people and won’t spend time filtering through masses of content to find something they want to read. Make sure the layout is clear and professional with a suitable amount of images and text. According to research by specialist email marketing consultant Jordie van Rijn, 47% of all email is now opened on a mobile device. Furthermore, mobile email opens have grown approximately 180% in three years. Make sure your emails are mobile friendly, send them in HTML and plain text, to reach more customers. If you are sending regular emails, make sure you are consistent with the time and day of week that you send them. Studies have shown that Tuesdays, Wednesdays and Thursdays are most successful. There’s no real way of knowing what your audience wants to read without trying out a few things first. Send a mixture of content, from special offers to company updates to useful guides. Be creative and see what the response is from your readers. You can track your conversions with Google Analytics to see what kind of content is most popular with your readers. If you need some help getting started with email marketing, why not contact us now for a chat about our fast and cost-effective email marketing solution?